A couple of weeks ago I saw the Lincoln Center Theater production of Macbeth, starring Ethan Hawke. I am not going to review it. That’s not my intention, and really, who am I to judge another person’s work? You may see it and love it, or you may see it and hate it. Not my point here. My goal is to look at it theatrically and historically and comment on it that way. First, and most glaringly, is the title of this post. Why did I write “Middleton’s Macbeth”? Obviously, Macbeth was written by William Shakespeare. However, in the 17th century the play did not go untouched by other hands, and playwright Thomas Middleton made some additions to the play after Shakespeare’s death (I’ll get to that and why it impacted this particular performance). Back in Shakespeare’s time, and in many ways like today, plays were written by a group of people with a head writer. I believe, and this opinion is shared by people who matter, that Shakespeare was not the only person responsible for his plays. There was a group of people, most notably his acting troupe and the members of his company – the people responsible for the plays themselves. Shakespeare was the head writer, and responsible for most of the work, but it wasn’t, as a friend of mine put it, “a singular genius bent over a writing desk.” There was collaboration. And taking nothing away from Shakespeare himself, that’s just how things were done (this is not the discussion of “did Shakespeare really write the plays, or did he really exist” – that’s a different conversation). So having someone like Middleton add bits and pieces to one of Shakespeare’s plays is not unheard of. After all, Shakespeare did that to other people’s plays (see Sir Thomas Moore). But doing it after his death? That’s shady. And the parts that he added weren’t even that good (not Shakespearean standards at least). Middleton is responsible for the character Hecate (acts 3.5 and 4.1). She appears with the Weird Sisters – the witches of “double, double, toil and trouble” fame – and plays a goddess (which she is, according to mythology). She is given a much bigger role in this production of the play, and that’s where I have a problem. Hecate, and the witches, appear in nearly every scene, are present during pivotal moments in the play (Lady Macbeth’s “unsex me” speech in which she tries to find the strength to convince Macbeth to kill Duncan) and even swap places with some characters, filling those roles themselves to make it seem like the actions of the play are dictated by supernatural means. Throughout the performance, all of Macbeth’s decisions are seemingly made for him, and we are led to believe that he is destined to lose. The icing on the cake comes during the final battle with Macduff. 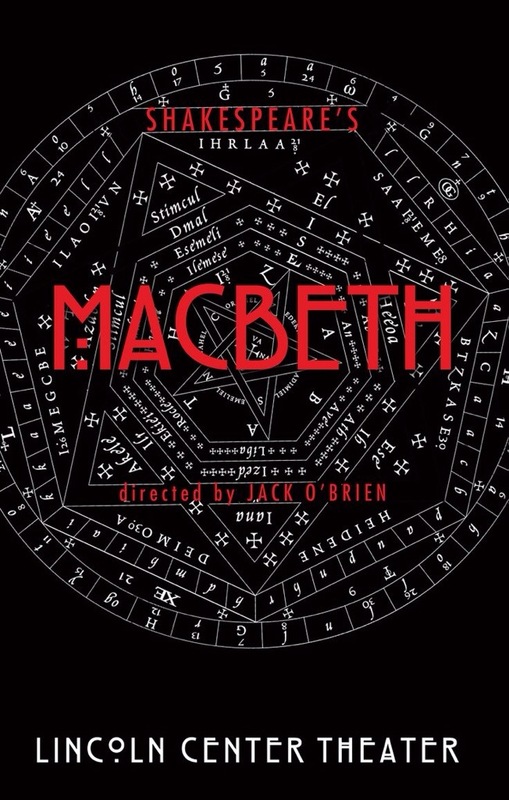 The fight choreography makes it look like Macbeth will win, until the witches intervene and give Macduff the physical advantage to overcome and kill Macbeth. So the question that I have: are we led to believe to that the entire play is a supernatural thriller starring the witches? Yes, I believe we are. From the onset, there’s no indication that the Macbeths are in charge of their own fate – a pivotal, defining element in a tragedy. Macbeth can never really achieve the catharsis necessary for the audience to feel bad for him, because we know that he is simply a pawn in the witches’ game. The text – Shakespeare’s text – leaves it up to us to decide exactly how much of an influence these witches play in his life. Like a modern day psychic, they could simply be influencing him through the power of suggestion, leaving all final decisions to Macbeth and his wife. That creates the tragedy, since he did it to himself (and by extension, his wife, who we all know is a master manipulator). All of his fears and regrets, and the great speeches that accompany Macbeth’s journey of discovery, are just words, without any weight behind them. It essentially takes away any of the suspense or emotional involvement that the audience feels. If we’re looking at a pure tragedy – which Macbeth is – then this particular production doesn’t make sense. Did you see this production? Wanna talk about it? I love discussions – contact me.